Even a Renaissance man is occasionally on the job hunt. Such was the case back in the 1480s, when a young Leonardo da Vinci was coming up in Florence. 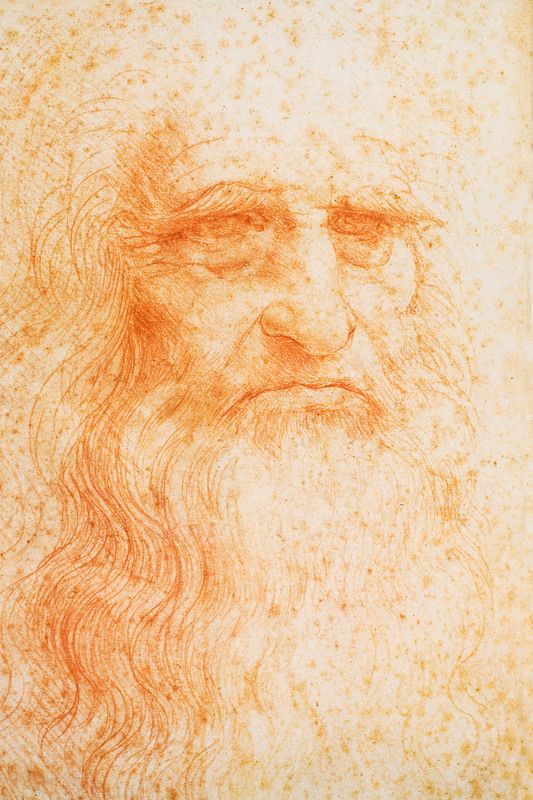 Born the lowly son of a notary, da Vinci couldn't enter the "higher professions" of the city, like lawyer or statesman. Instead, his lot was that of a craftperson - a painter, to be exact. Under the tutelage of Verrochio, an established artist and goldsmith, da Vinci honed the powers of observation that would drive his illustrious career. But Florence, he realized, was crowded with artists. If da Vinci was to make a name for himself, he'd have to try another town. So he turned his sights toward Milan, then ruled by Ludovico Sforza, who hoped to make Milan a cultural capital on par with Florence and Venice. He also had a habit of getting into wars, as one did back in the day. Da Vinci applied to work for him, and knowing his potential patron's penchant for war, he wrote a cover letter positioning himself as a military engineer. As the best cover letters do, it tailored his career history to his employer's needs. "Very light, strong and easily portable bridges with which to pursue and, on some occasions, flee the enemy"
"Covered vehicles, safe and unassailable, which will penetrate the enemy and their artillery"
"Where the use of cannon is impracticable, I will assemble catapults, mangonels, trebuckets and other instruments of wonderful efficiency not in general use." Beyond weapons, da Vinci promised innovations, like tunneling beneath castle walls, redirecting the waters of moats, and methods for destroying fortresses. "In short," he humbly proclaims, "as the variety of circumstances dictate, I will make an infinite number of items for attack and defence." Surprisingly, the legendary artist doesn't mention his ability as an architect, painter, or sculptor until the close of the letter, and, by today's standards, it's a bit long-winded. Regardless, the letter worked: Da Vinci worked for the duke for 16 years, completing some of his most memorable work, including "The Last Supper."